1) Hold and tap the exponent key (x^) and select the partial derivative. 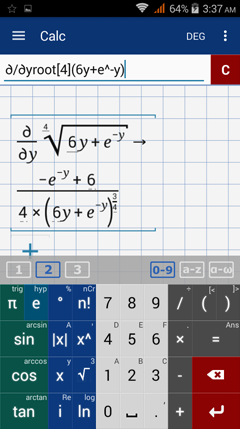 You can also tap the exponent key (x^) six times to use the partial derivative syntax. 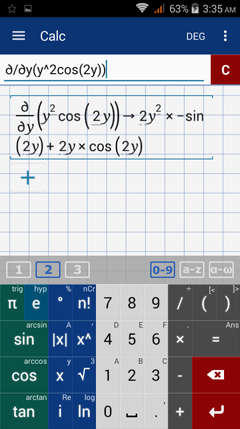 2) Since the variable that appears in the default partial derivative key is x, change "x" to the given variable. Use the delete button to remove the default open parentheses and variable x. 3) Type in the independent variable of the given function. Next to the partial derivative, enter the function's expression in parentheses. 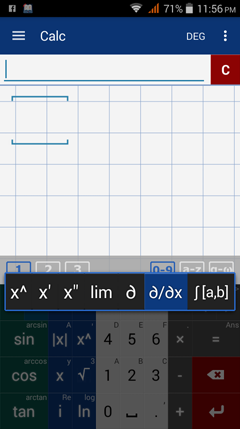 ​Find the derivative of each function below.